Do you want to see God’s people grow in faith, hope and love? Would you like to live in a modern rectory in Duns in the heart of Berwickshire in the beautiful Scottish Borders, with easy access to Edinburgh and Newcastle and fast trains to London? Do you have a pastoral heart, and a vision and passion for rural ministry? If the answer to these questions is ‘yes’, then the amazing opportunity to lead the Berwickshire Group, consisting of the three quite different congregations of St Mary and All Souls Coldstream, Christ Church Duns and St Ebba Eyemouth might be for you. 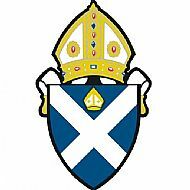 For more information or an informal discussion please contact The Very Revd Frances Burberry, Dean of the Diocese of Edinburgh on: 0131 315 0404 or e-mail: dean@dioceseofedinburgh.org . Congregational profile, person specification and application form are on the Christ Church Duns website www.christchurchduns.org . The appointment is subject to a satisfactory PVG Scheme Record Disclosure (Protection of Vulnerable Groups (Scotland) Act 2007).